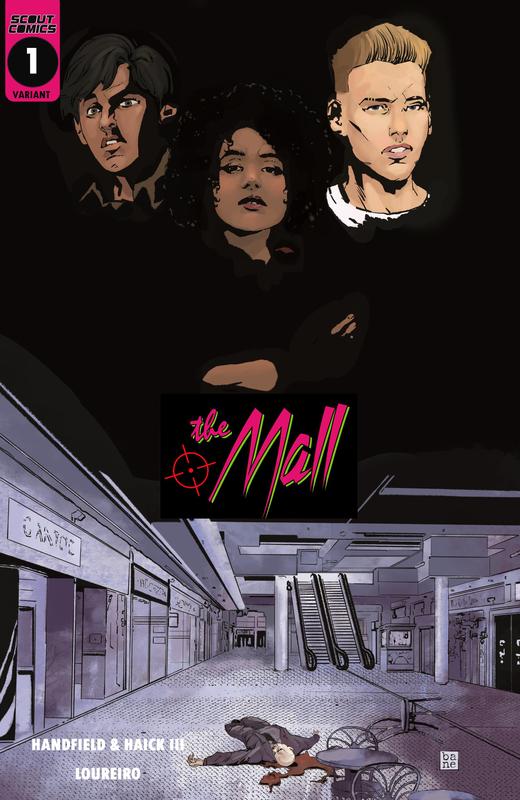 Fresh from the pages of Scout Presents: The Mall Free Comic Book Day, the MALL is set in everyone's favorite decade, the 1980's. This coming of age crime story takes place in a small Florida town at the height of the popularity of indoor malls. When the head of the Cardini Mob Family mysteriously dies, his three illegitimate children each inherit a store in the mall. While the stores front as legal businesses, the real money is in the illegal businesses. The kids are thrust into a world of crime, all the while just trying to survive normal high school life. It's a John Hughes movie set in the Godfather universe. Co-written by History Channel's Knightfall writer Don Handfield and Solar Flare's James Haick III.